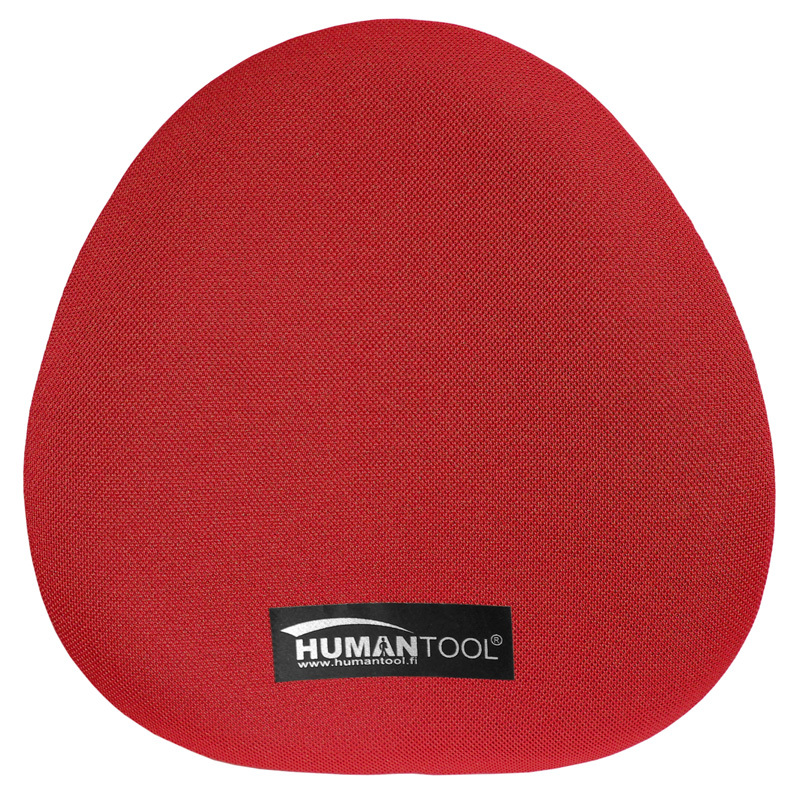 Humantool turns a traditional chair into a saddle chair improving ergonomics of sitting people. The Humantool is small and light so it can easily be moved from one chair to another. 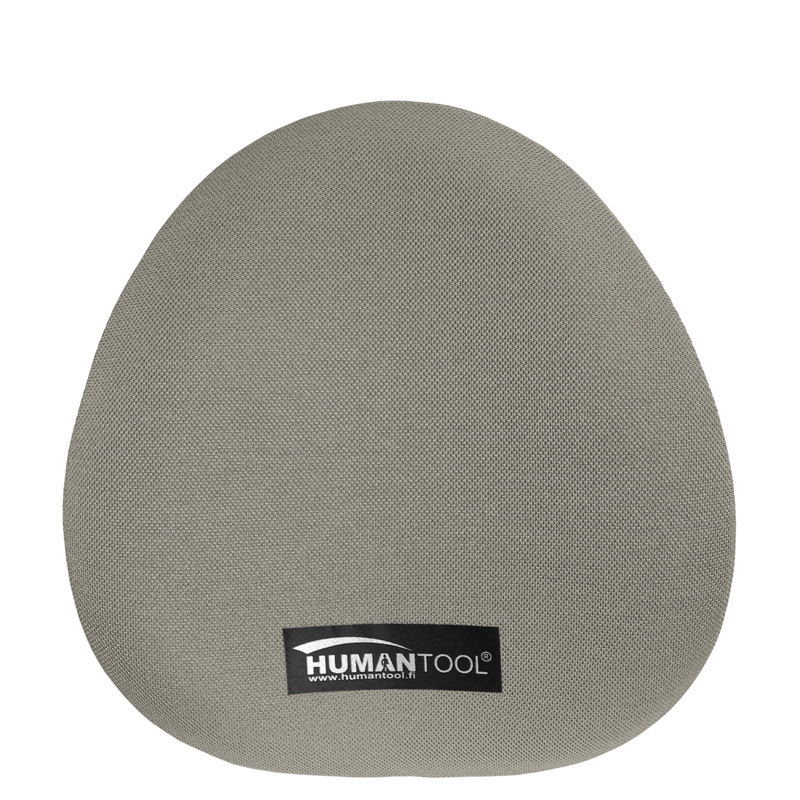 You can use it in the office and at home – on every chair. Humans need Movement to stay healthy. 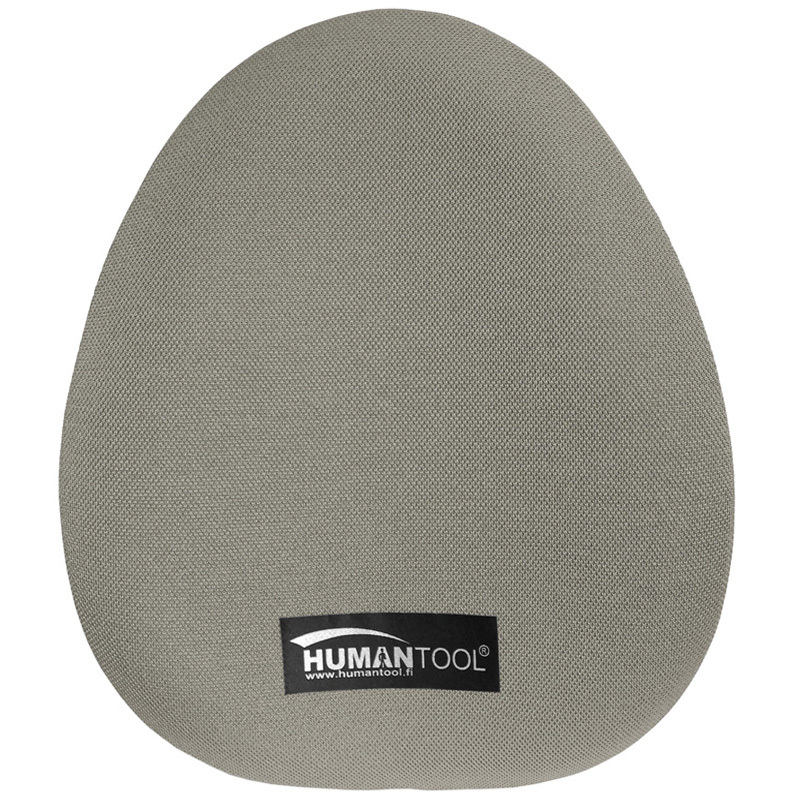 The HumanTool generates the best movement we’ve experienced. 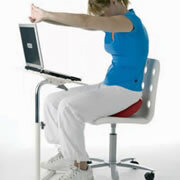 Activate your core while sitting ...look and feel poised. The HumanTool is widely recommended by professionals working with poise and posture. 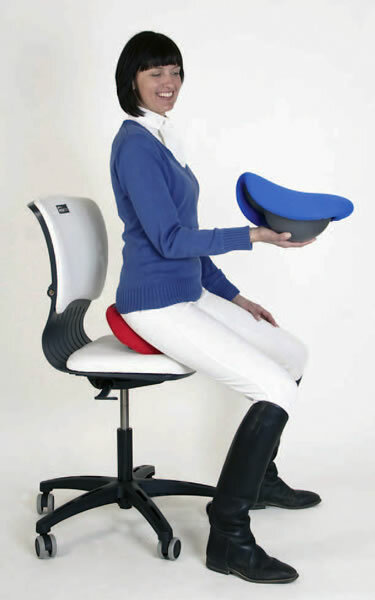 (Physios, Osteopaths, Chiropractors, Alexander teachers, Riding Instructors etc.). 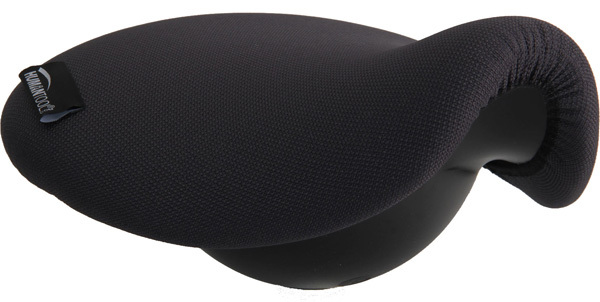 It is best used on a padded fabric chair. If the chair is soft or slippery the FREE seat firmer disc turns any surface into the perfect base for the Human Tool. Hand made in Finland the quality of finish is superb. 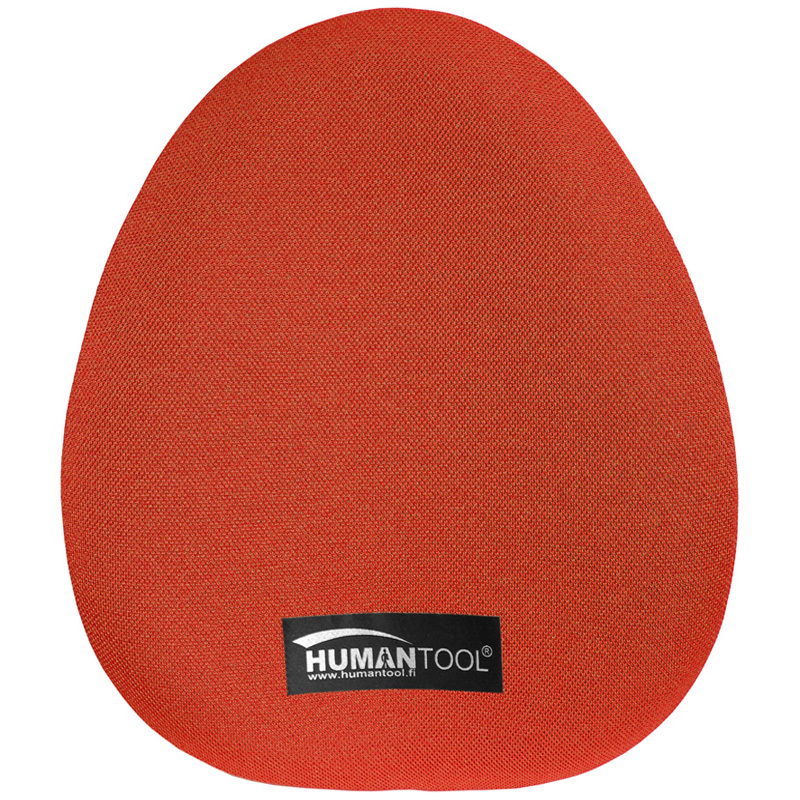 A padded mesh hammock seat made of breathable fabric is stretched over a plastic base. Durability is fantastic. Backinaction are the UK importers having discovered it at an exhibition in Scandinavia. We sell it direct to individuals and departments or companies. We also supply lots of therapists. User feedback is even better than we expected it to be. 14 Day Evaluation:- Less Pain, Fitter Spine, or a Refund! 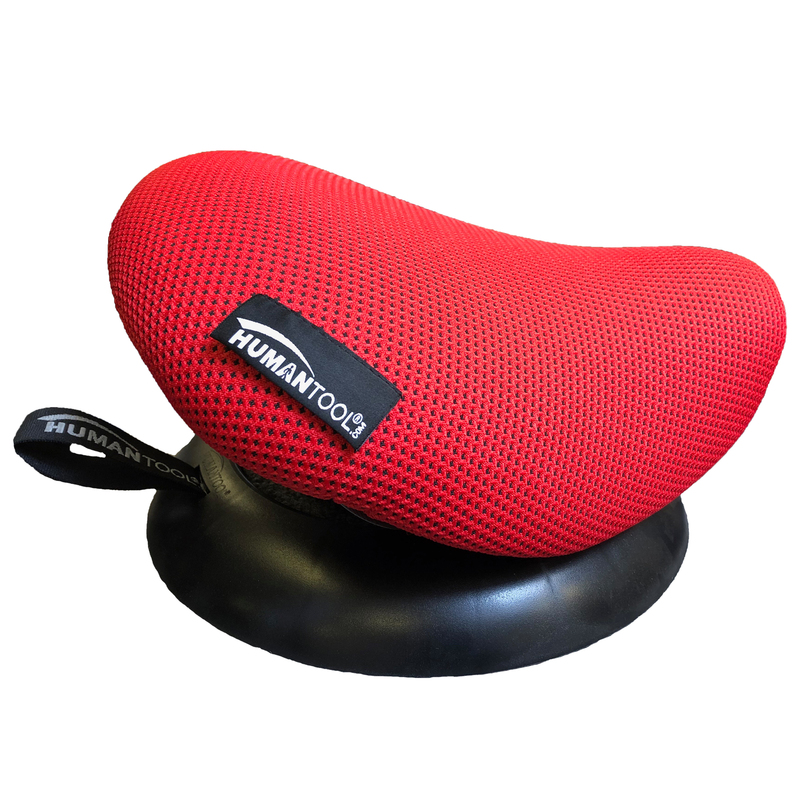 Transforms any seat. 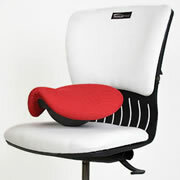 Includes FREE seat firmer for soft seats. 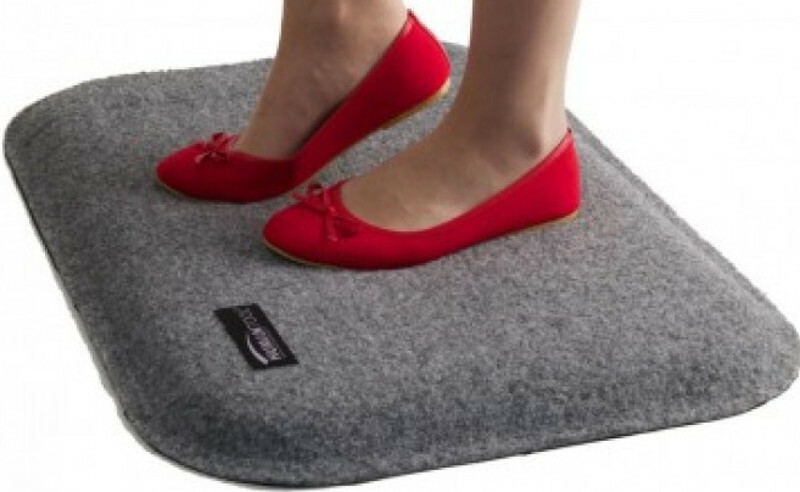 Portable:- Kitchen, Study, Office, Sofa and Floors. 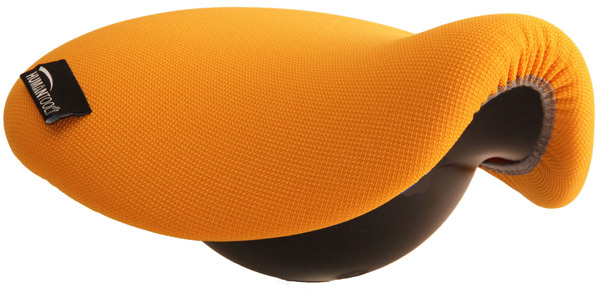 Breathable, cleanable, padded covering in fab colours. Ball construction also gives Swivel to fixed chairs. Can be used all day after brief acclimatisation. 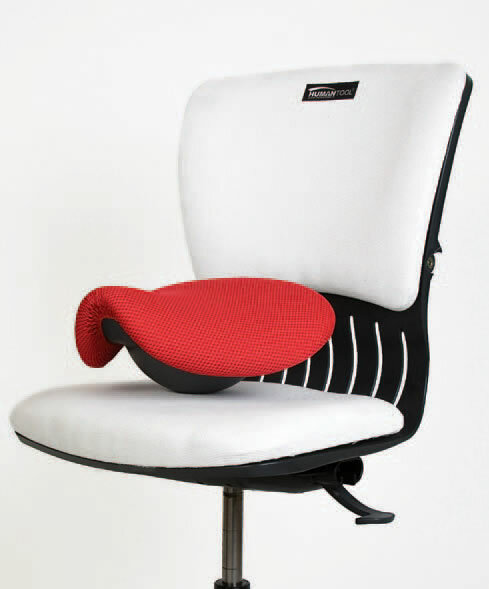 The Pilot Spot back rest is suitable for people suffering discomfort in the lower spine, neck and shoulder areas. Two straps are included for securing the Pilot Spot to either a car seat or a desk chair.